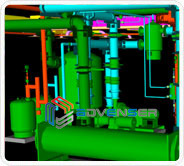 Backed by a team of 67 CAD detailers with average experience spanning 4 years, Advenser is the most competitive CAD service provider in the AEC industry. Our core expertise lies in providing 2D drafting & CAD 3D modeling services to clients for the fabrication and manufacturing of mechanical components. Over the 11 years, we have emerged as the trusted partner to the AEC industry catering to its Mechanical drafting and CAD 3D modeling requirements. 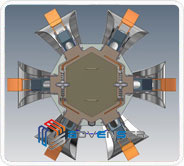 The constantly updated technologies and practices at Advenser enable us to meet the toughest quality standards of the industry. Throughout the last decade, we have worked with a diverse range of clients ranging from MEP engineers to Fabricators and contractors on some of the prestigious projects of the 20th century. It is this extensive experience we possess that fuels us in keeping ourselves updated on the technologies and the current industrial practices enabling us to meet the toughest quality standards of the industry. Every drawing we deliver is developed as per the industry standards and appropriate formats & layouts as required by the client. 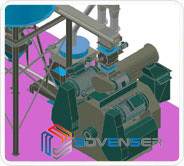 The specialized mechanical drafting team at Advenser can provide innovative and highly professional drafting services to all kinds of industrial, commercial and residential industries.